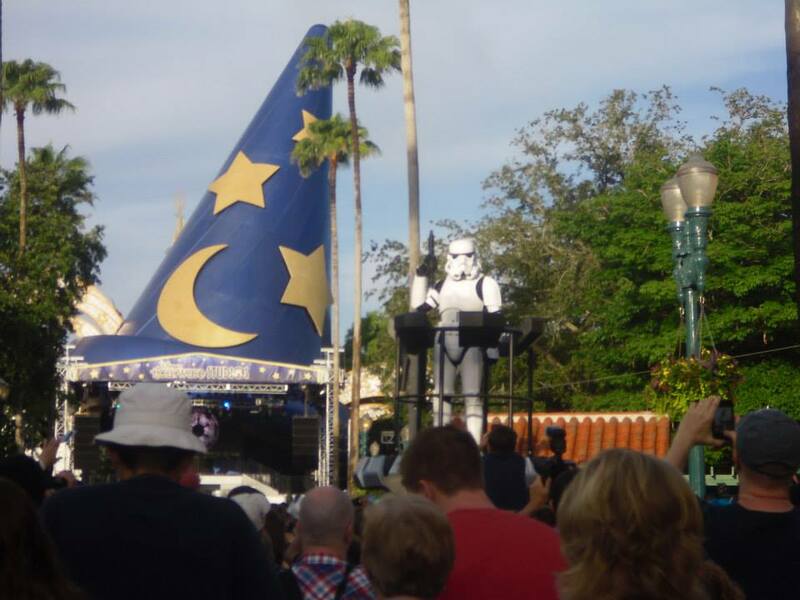 The show started with a preshow that once again featured the antics of a bunch of hapless but hilarious Stormtroopers. 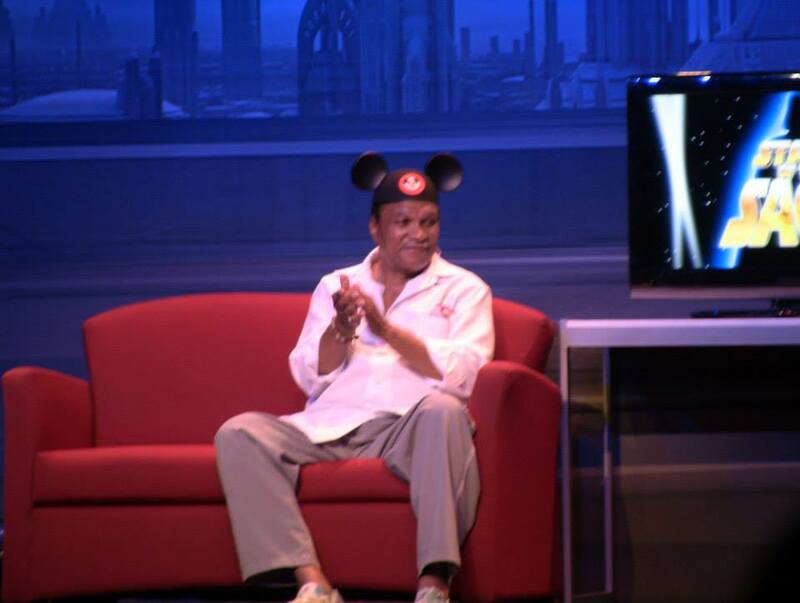 There were laughs to be had for devoted fans (an entire segment devoted to jokes about the Battle of Endor) as well as average Disney World guests. (I’m pretty sure anyone would find a Stormtrooper singing Taylor Swift songs funny.) The image of a line of Stormtroopers singing “Move Along” by The All-American Rejects and dancing to “Jump On It” was worth every minute I spent standing in line for that show. 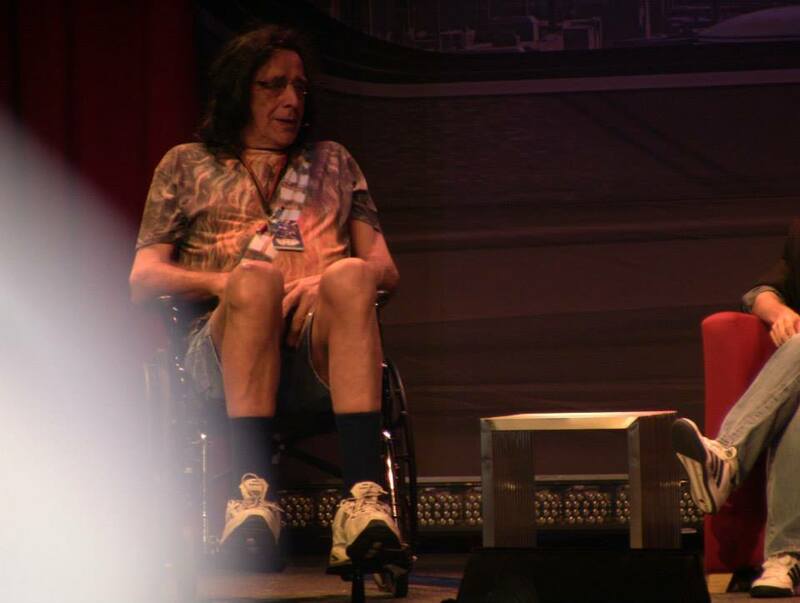 Hearing Mayhew and Williams tell stories about their time in the Star Wars Universe was incredible. It’s not every day you get to do a Wookie call with the guy who played Chewbacca. And I’ll admit to having a fangirl freakout when Williams started saying Lando’s line from his first meeting with Princess Leia (“Hello, what have we here?”) with the same smooth charm he had in 1980. While the Stars of the Saga show was fun, my favorite part of the day was the experience of meeting the characters alongside fellow Star Wars fans. Some characters had traditional lines to stand in before getting your picture taken or even talking with the character. The Cast Members chosen to play these roles were exceptional. 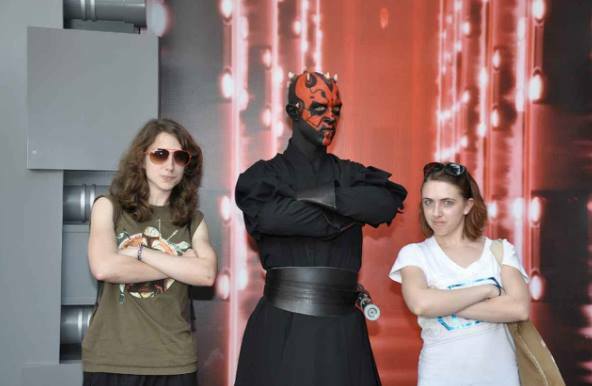 Amy and I hanging out with Darth Maul. The best part, though, was the way other characters would simply roam areas of the park. Watching Zam Wessell and Aurra Sing slink through the crowds was incredible, and the way the Tusken Raiders would get in guests’ faces and call to one another across the park was so deliciously creepy. Throughout the day, I had such a fantastic time just soaking in the atmosphere. I loved watching Boba Fett stand guard over a frozen Han Solo on the main stage. I loved watching two little boys have a lightsaber duel while waiting in the line to meet Darth Maul. I loved seeing entire families dressed up in full costumes. I loved watching parents teach their kids about original trilogy characters while kids filled their parents in on characters from the new trilogy. And I loved how the theming extended even into the desserts served in the park. 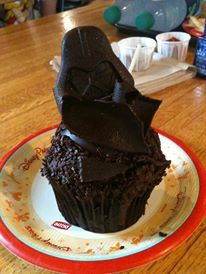 Seriously, if nothing else about Star Wars Weekends interests you, go just for the Darth Vader cupcake. It’s chocolate cake with peanut butter frosting and chocolate shavings, topped with a solid chocolate Darth Vader helmet. In a vacation filled with delicious treats, this was the best dessert I ate. I’m still dreaming of it. After posing for tons of pictures and taking multiple rides on Star Tours, our night concluded with a viewing of the Hyperspace Hoopla, a dance party featuring characters from across the Star Wars Universe. People started lining up for this show four hours early, and after seeing it I know why. It was incredibly entertaining and the perfect mash-up of Star Wars and current pop culture. From Jawas dancing to “Thrift Shop” to Vader and Padmé doing a duet to “I Knew You Were Trouble,” this was the perfect way to cap off a great day of nerdy fun. My day of Star Wars Weekends fun was one I’ll never forget. It was a chance to combine two of my biggest passions—Star Wars and Disney World—and share that experience with my family and a whole lot of awesome strangers who seemed to love those two things perhaps even more than I do. Events that bring segments of the nerd community together are events I love celebrating, and this was the most fun nerdy event I’ve ever been a part of. 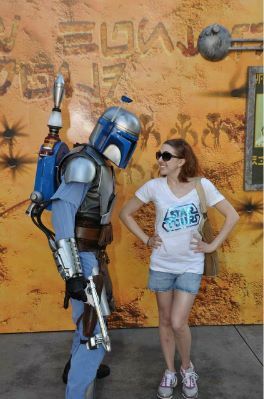 This entry was posted in About Me, Disney, Travel and tagged about me, disney, nerd musings, star wars, travel by Katie. Bookmark the permalink.